The RED Group is a Utah based home technology and entertainment firm, specialize in the strategic design and installation of: Audio/visual systems, Security/surveillance systems, Networks, Private cinemas, Audio systems and Smart homes. We believe technology should elevate the way you live. We accomplish this by challenging the status quo, by taking a design centered approach to technology. Our secret is understanding how our clients will interface with their homes and business’, and then designing the right solutions that will enhance the way they live, make life more convenient and enjoyable. RED Group was founded by Kirk MacKay in 2008. Kirk got his start in the audio/visual industry when he moved to Utah to finish out his degree and took a job working for a local home theater/automation company as a sales consultant. That company closed its doors in 2008 and RED Group was born. AAA Installation has been serving the Low Country of Charleston since 1998. We are a full service technology contractor and have built a solid reputation of going the extra mile to ensure our clients complete satisfaction while maintaining an A+ rating with the Better Business Bureau. 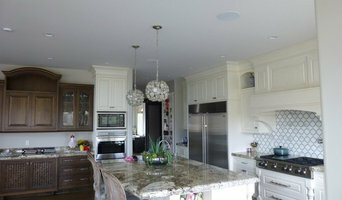 Give us a call to allow us to help you with the design and installation of your next low voltage project. Whether your a custom home builder or your building your own home, you will be in good hands with our team from start to finish. We sell and install all of your top brands including Sonos, Yamaha, Klipsch, Denon, Sony, LG, Samsung, RusSound, Onkyo, Nest, Pioneer, Ring, Logitech, Ubiquity, Luma, and more. Please call us today at 843-972-0601 for a consultation. If you want to add value, security and comfort to your home or business, choose Automated Lifestyles: we have the experience and knowledge to design, install and train you on the electronic systems that will make your life easier and more enjoyable. Whether it's a gorgeous home theater with THX surround sound, a security system that gives you peace of mind or automation that lets you control your environment with the touch of a button, we guarantee that you will be more than pleased with the results. Servicing the Pennsylvania, New York & New Jersey areas for over 15 years, Automated Lifestyles is professionally licensed, insured and CEDIA certified. We have the experience and knowledge to design, install and train you on the electronic systems that will make your life easier and more enjoyable. Contact us today for a custom quote. Home technology, just how you want it. We believe in helping you find just the right technology for your home. whether you are looking for a comfortable home theater and music throughout your home, lighting control or a focus on energy savings— We endeavor to build beautiful systems that blend seamlessly into your space. you can think of me as your home technology architect and resource. We can provide you with ideas, direction, product advice, system design, installation, programming and warranty. With our passion, expertise and commitment to client satisfaction, We will stand out as your premier integrator. Let's create a system that's right for you! At Digitech Custom Audio & Video, we love bringing technology to life! We are the premier home technology specialist and integrator in Indiana, serving over 8000 clients in our community since 1987. 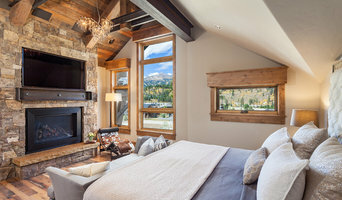 Our business model embraces many types of residential and commercial technology solutions including home theater design and installation, media rooms, smart home automation, intelligent lighting controls, smart security and surveillance, automated window treatments, board and conference rooms, training facilities, card access systems, energy management, and more. When you come into our design showroom, you’ll find a large selection of technology products that you can experience. Our process starts with a one-on-one consultation to understand your needs. At that point the project moves to the system design department where we take your concepts and preferences and turn them into reality. Once the proposal has been approved the project moves to our project management team to detail plans for all phases or work and on to installation! After installation is complete we meet with you to review the completed project, verify proper operation of all products, answer any questions and review all aspects of operation with you and any other users. The real key to Digitech’s success is our people and their unwavering dedication to our customers. Digitech’s staff is second to none with over 200 years of combined experience installing and maintaining various types of smart home automation solutions. Our people are factory trained with countless certifications from the industry’s leading brands to design, install, program, and maintain the products we provide.